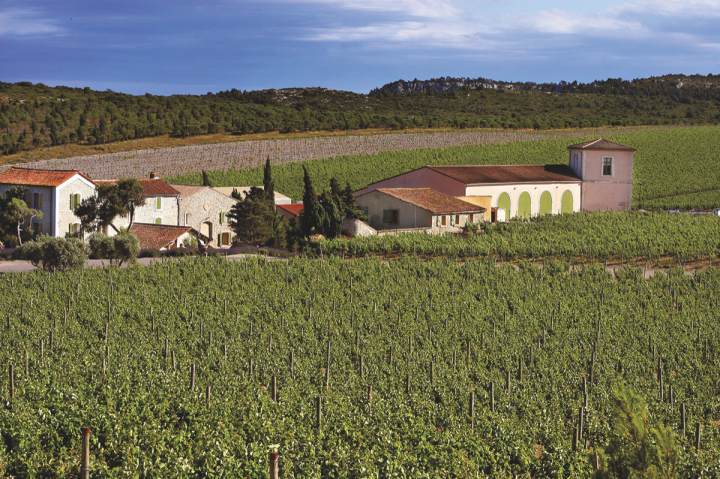 Gerard Bertrand's rosé and biodynamic wines lift the region's largest producer. Languedoc-Roussillon has become a growth driver for France, thanks in part to the region's largest producer, Gérard Bertrand, and its increasingly expansive stable of rosé wines. Bertrand's main estate is Château L'Hospitalet (pictured) in Narbonne. With French still wine exports to the U.S. rising 14% to 12.5 million cases and 18% to $1.4 billion last year, the Languedoc-Roussillon region in Southern France has emerged as one of the key growth drivers. Languedoc-Roussillon shipments to the U.S. surged 26% to 746,000 cases in 2017, according to Impact Databank, and have roughly tripled since 2010. Leading the way is Gérard Bertrand, whose namesake label accounts for nearly half of Languedoc-Roussillon’s U.S. volume. Bolstered by the rosé boom, the Gérard Bertrand brand enjoyed substantial growth in 2017, depleting 350,000 cases on a rise of 46%. Such strong progress earned the label Impact “Hot Brand” honors. To that end, Bertrand is releasing two new rosés this spring and summer through his Gérard Bertrand USA import unit. The first, Diving Into Hampton Water ($25), is a collaboration with musician Jon Bon Jovi and Bon Jovi’s son, Jesse. The wine is available across 14 states on the East Coast and quickly sold out to distributors. Meanwhile, this summer will see the release of Ballerina ($49), a high-end sparkling blend of Chardonnay and Pinot Noir that Bertrand believes has major on-premise potential. While rosé is currently the company’s top growth driver, Bertrand sees opportunities across the range, especially with higher-end biodynamic and organic expressions. “We know the biodynamic and organic category will continue to grow,” he says. The company first began to adopt biodynamic principles in 2002 and has since fully implemented them at eight of its 14 estates. “The French market is very aware of both types of wines, and we increasingly see more consumers from around the world looking for those offerings as well,” Bertrand says. As evidence, he cites the positive progress of the estate-grown biodynamic wines, all retail priced at above $35 a 750-ml., as well as the successful recent launch of Perles de Sauvignon Blanc ($16), a wine made from organically grown grapes that Bertrand says will be a significant growth contributor this year.